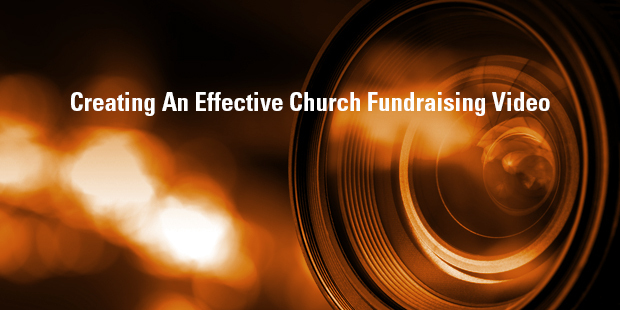 Many churches are investing time and money in a video – or more than one – that tells the story of their need for infused capital beyond the regular budget. Others are using for a Year-End-Giving campaign to inspire people about the accomplishments of the year. It can be a powerful part of reminding people of the reasons for financial support and investment. It trips all the triggers – informational, inspirational, visual, emotional and more. Will time and money spent on a video it be an investment with a positive return? The fact is this: In order for your video to be an effective fundraising tool, it must contain an “Ask”. Many succumb to the temptation to make a feel good video about your church’s long-term vision or short-term need but leave out the most critical part – the call to action. Videos should end with a direct request like, “Our new student facility will better enable more young people to come to a safe place to explore the teachings of Jesus and be in healthy, positive relationships. Please prayerfully consider your financial support of this great initiative and be ready to respond by November 1st. If you don’t, you have led the giver to the edge of the pool, but never invited them to jump in. This is a missed opportunity. There are a few critical questions that should be answered in a video. Excellent videos do this seamlessly and through storytelling and multiple ambassadors (a leader, a contributor, a volunteer, a person served by the cause, etc) as opposed to simply a golden-toned narrator with a script and some video footage. Is this a cause worth supporting? In the crush of so many great organizations asking your potential donor for financial support, please tell us why this cause has merit – is it making a difference? Introduce me right away to a person whose life has been changed because of what you are doing. Also, tell me about potential for enormous impact. I want to know that the ripple effect is big. I would like to know if you are asking a large group of people, a handful, or just me. I would like to know if I’m the only guy “jumping in the pool” or can I join other sharp, astute donors that will give me the confidence that I’m joining a group of winners and a winning organization? Otherwise, I may have the fear that you will be more dependent on my donation than I want you to be. Please share with me the specifics of your church’s efforts or focus. What do you do specifically to make a difference? Tell me, but don’t bog me down with too much detail – I can find that out on your website. This is the meat and potatoes, but the hardest part to keep succinct. Let me know what motivates you. Is it the dire nature of the need? Is it something spiritual? Is it because you have a personal connection with the people you serve? Is it because of the effectiveness of the cause? I need to know the heart behind the stats. Here is where the rubber meets the road. As a key ingredient to staying “on message” in your efforts to raise funds, make sure the ask doesn’t get skipped or muddied. Be clear with me – I have a lot in my brain and I need you to make it simple. What do you want? Do you want me to give a gift? Make a pledge? Got to your website for more instructions? Note: There are only a few cases where you should consider having a version of this video without the “ask”. One is when you are showing the video in an event or setting where a live person could deliver a heartfelt challenge. The other is when the nature of the request would drastically shorten the usability of the video (“Please make a 2017 Year End Gift”). This is easily remedied by having two versions of the video done with different endings. Contact an Auxano Navigator to learn more about developing a generosity culture in your church. Greg Gibbs was raised in the Philadelphia area but has set down roots in the suburbs of Detroit. As the son of an IBM executive, his instincts for leadership were shaped early. And, the commitment and involvement of his family in church leadership provided exposure to that environment as well. He studied Organizational Communication as an undergrad and holds a master's degree in Theology. After a dozen years of leadership in churches both on the west coast and in Michigan, Greg turned his attention to consulting and has spent years traveling the country working with church leaders of all denominations, sizes, and approaches. Greg is both practitioner and consultant. He is the Director of Organizational Advancement for Kensington Church - his home church and one of the largest in the United States. Kensington is a multi-site church with eight campuses, and has helped fund and coach over 50 church plants around the country. Greg’s tenure at Kensington includes the spear-heading of two $20M capital campaigns at Kensington, as well as developing the Leadership Development program. After 15 years of strategic consulting and having helped raise over $150M for various churches, Greg joined the Auxano team in 2016 as a Lead Navigator. Greg focuses his attention on counseling leaders regarding Clarity of Vision and Building a Generosity Culture in the church. He conducts the God Dreams Retreat, the Vision Frame Process, and other facilitated coaching as needed. Greg has been married to Andrea for 27 years and they have four children, two dogs, and like to roast their own coffee with beans they purchase at the Eastern Market in downtown Detroit.